One of the favorite products of Therapy Hair Studio stylists is the Elixir Ultime which was recently awarded “Best of Beauty” 2012 by Allure Beauty Experts. The appeal of Elixir Ultime is its versatility and many uses based on the client’s hair. It can be used as a before shampoo treatment, as a leave-in conditioner, or after the blow dry to help with smoothing and to give that incredible shine. It works for all hair types and enables the stylists to create a beautiful finished salon style. 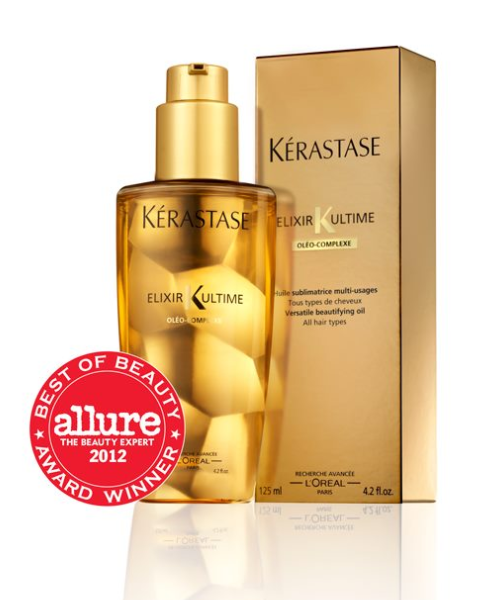 Ask your Therapy Hair Studio stylist about Elixir Ultime and how you can use it at home.